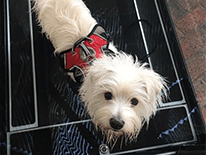 DITI is highly sensitive to variations in the vascular, muscular, neural and skeletal systems and can contribute invaluable information to a diagnosis made by your own vet. 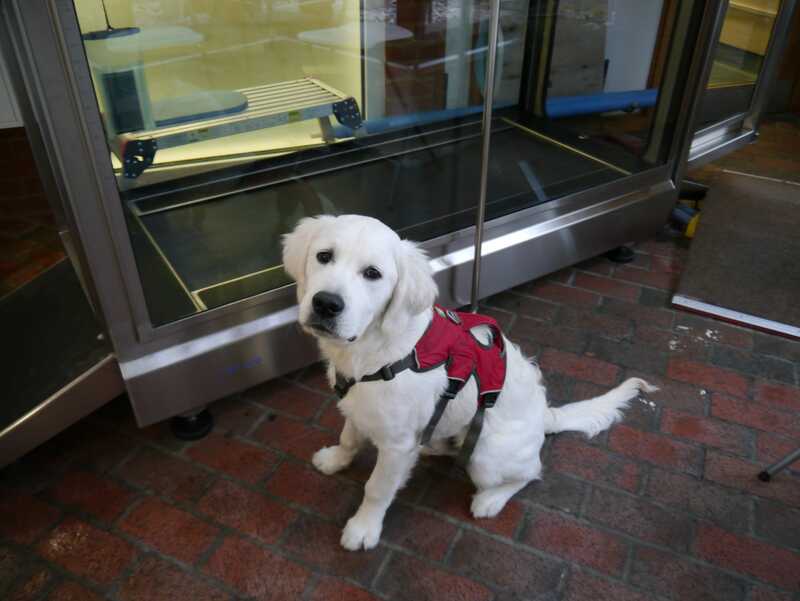 As DITI is not reliant on structural conditions and detects inflammatory & neurological processes it is very often able to help isolate problems at an early stage before x-ray & ultrasound. DITI is a 100% safe, painless, contactless screening tool. 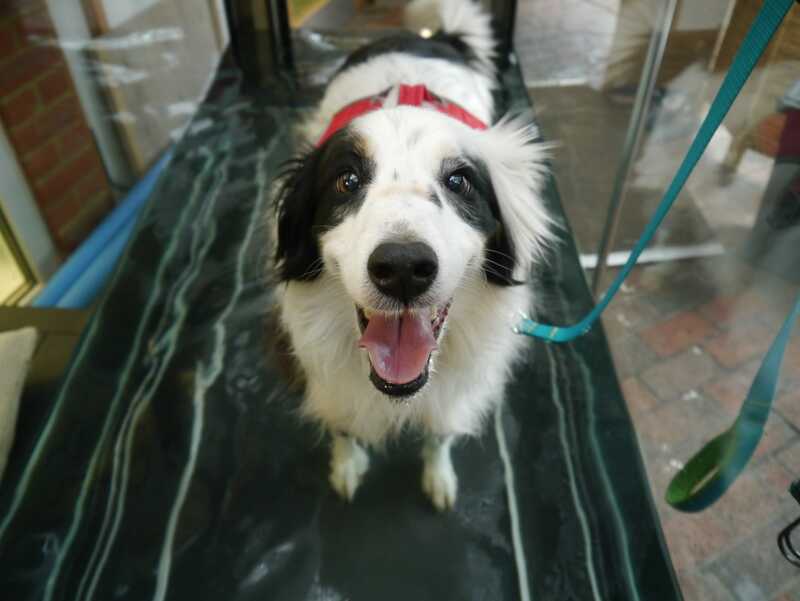 It is therefore a non-invasive way to view a dogs physiology and we can monitor joints for arthritic conditions, nerve conditions, soft tissue (tendon and ligament breakdown, musculoskeletal conditions) and identify and allow your vet to treat any early signs of disease which are not yet presenting a clinical sign. 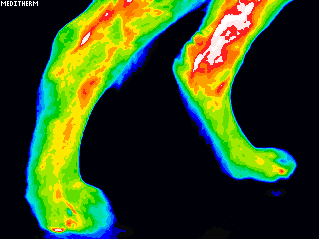 Dogs have their own unique thermal profile, (like a finger print) which when imaged should be symmetrical, for example an image of the left side of the body should mirror the right side and should not change significantly over time. A panel of SyncCanine vets interpret the images and look for any asymmetry in the body. 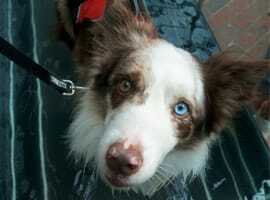 This can be monitored over time by comparing a future digital image of the dog to previous archived images. 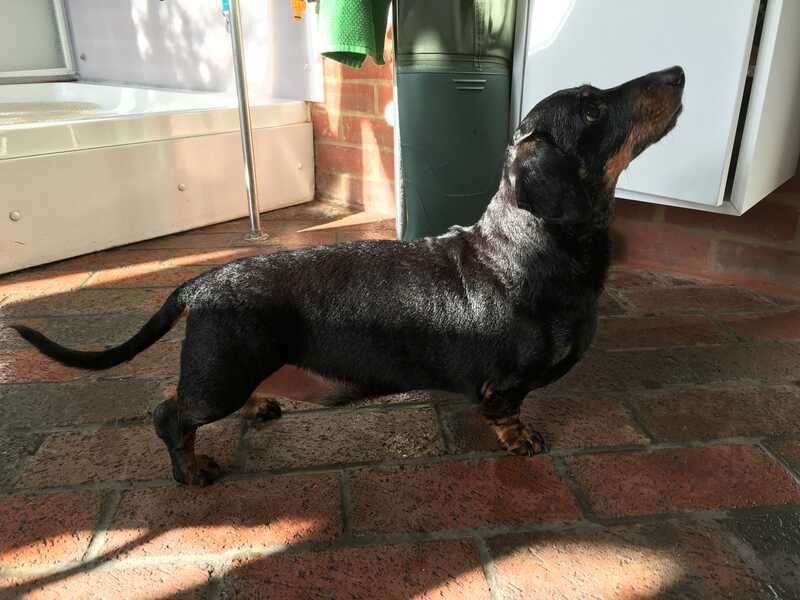 Once all images have been taken and the correct heat scale applied the results are sent to our team of specialist veterinary surgeons for interpretation. Our vets will provide objective results and recommendations that will assist diagnosis. All of this makes us unique within the canine thermography industry. The images are archived and can then be compared to another scan in say a week, 1 month, 3 months, 6 months & 12 months.